Summer is here. For most people, it means it is the season to enjoy outdoor activities. One of my favorite things to do is to spend time by the water. I’m blessed to have the opportunity to live in Vancouver, one of the most beautiful cities in the world. We have many beautiful beaches, creeks and lakes in addition to magnificent mountains. Boating is also a fun outdoor activity to do in summer. It is truly an enjoyable experience with a new scenery in every turn. 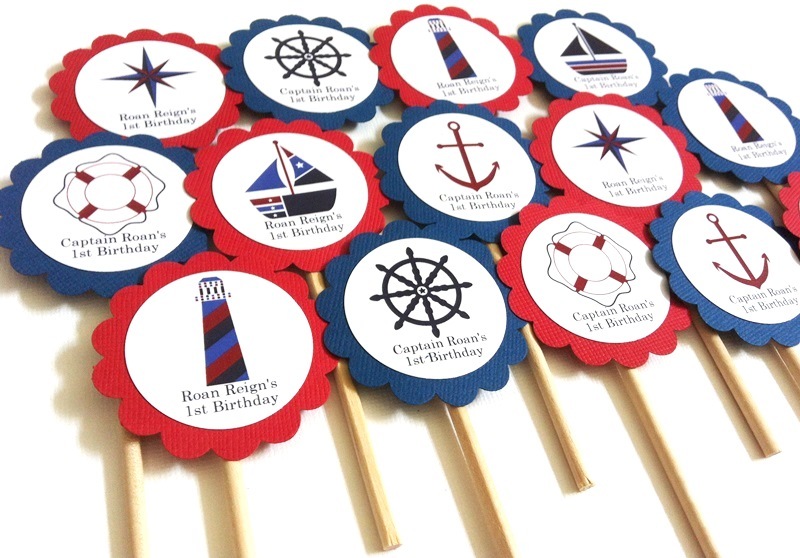 Nautical theme party is a great theme to have at anytime throughout the year. Yet, it seems to fit perfectly as a summer kinda theme. A nautical theme party by the beach would be fun, don’t you think? But I would say that a Nautical theme party at a backyard would be pretty cool too! 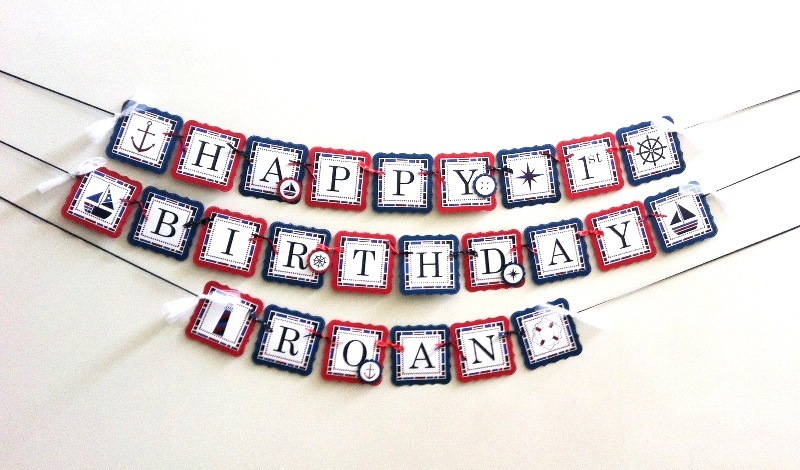 Here are just a few party decorations in Nautical theme that we offer including Banner and Cupcake Toppers. If body of water is nowhere to be seen in your area, perhaps you can bring it closer to home with these beautiful items. If you are an artist/ crafter, I invite you to link up your beautiful Nautical theme items (up to 3 items). Any items that have all or some of these colors will also be suitable: red, navy blue and white. Feel free to leave a comment. Your comment will make my day for sure. Sharing this post and/ or any of these items are much appreciated. Thank you for stopping by. Thank you so much for including me in your blog! The pleasure is mine, Denise. Your party decorations are always so pretty, fun, and colorful. Thanks for posting this link up. What a fun nautical theme – perfect for summer! Enjoy your stay in Vancouver, one of my all time favorite cities! Thanks so much for the link-up! Have a great summer! Thanks so much for the link-up! Great post with the nautical theme! 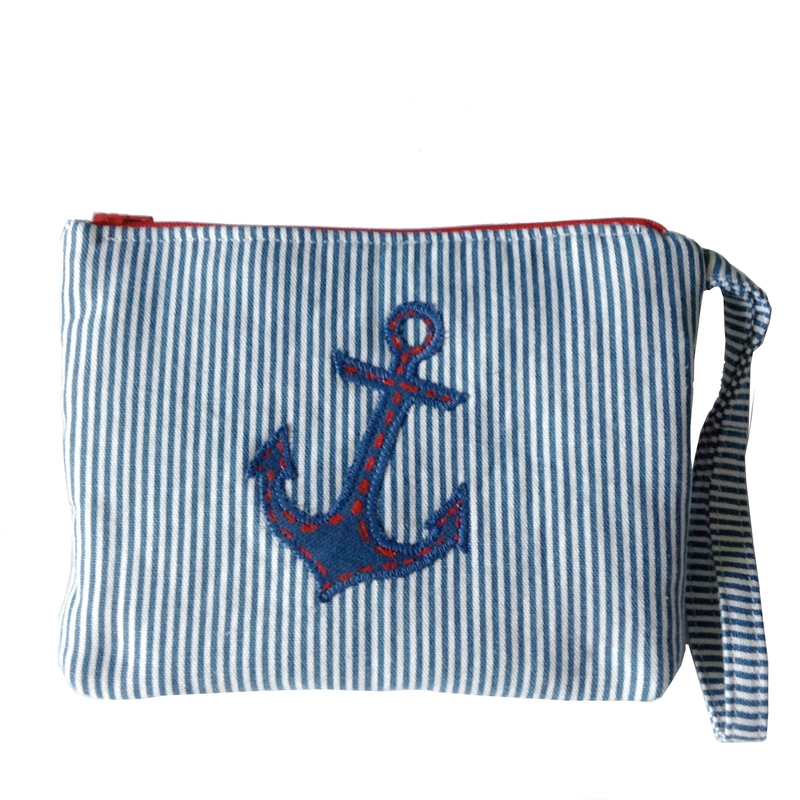 I love a nautical theme, Natalie – perfect for this hot summer we’re having! Your great selections fit right in 🙂 Thanks much for the link up. Loved Vancouver when I visited before a cruise. You are lucky to be living there! 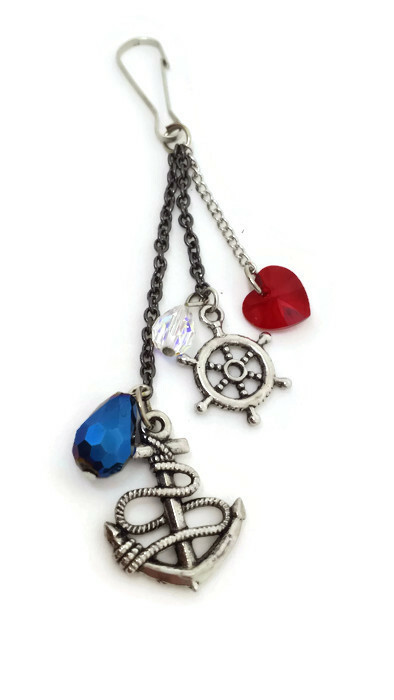 Beautiful nautical themed items featured here. Thanks for hosting the red, white and blue linky.